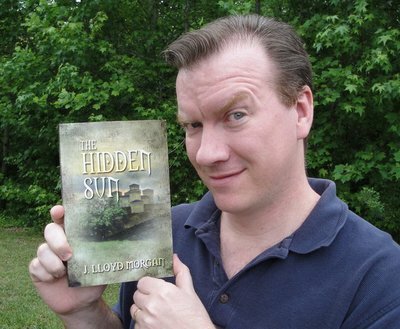 J. Lloyd Morgan is an award-winning author and television director. He is a member of The Church of Jesus Christ of Latter-day Saints, inadvertently called the Mormon Church. He was born in Wyoming and graduated from Brigham Young University with a degree in Communications and a minor in English. He published his first book, The Hidden Sun, in 2010. He wanted to create a book that took place in medieval times where people handled challenges without the aid of magic or modern technology. While editing that book, he envisioned The Waxing Moon, which he describes as not so much a sequel as an additional story that takes place on the heels of the first. The Zealous Star is a third stand-alone book that completes the series Bariwon Chronicles. Morgan’s most recent work, The Mirror of the Soul, is based on recording artist Chris de Burgh’s song by that same name. Morgan has also published short stories, such as “Howler King,” “I Heard the Bells on Christmas Day,” and “The Reluctant Wanderer.” His short story “The Doughnut” won Honorable Mention in the Parables for Today Writing Awards, 2011. His most recent work, “The Night the Port-A-Potty Burned Down and Other Stories”—an anthology of short stories, observations, and insights—was published in 2012. His novel, Wall of Faith, is based on his experience as a full-time missionary for The Church of Jesus Christ. He also contributed to Michael Young’s Carol of the Tales and Other Nightly Noels. Morgan was has lived all over the United States. He lives in North Carolina with his wife and four daughters. This page was last edited on 20 November 2013, at 16:49.